Outdoor adventure is Christina Ratcliff’s idea of fun—she enjoys camping, hiking, and road trips with her family and friends. At age 30 after having a seizure, she was diagnosed with a brain tumor called anaplastic astrocytoma. Starting in December 2013, Christina had surgery, radiation, and chemotherapy treatments at Huntsman Cancer Institute (HCI). 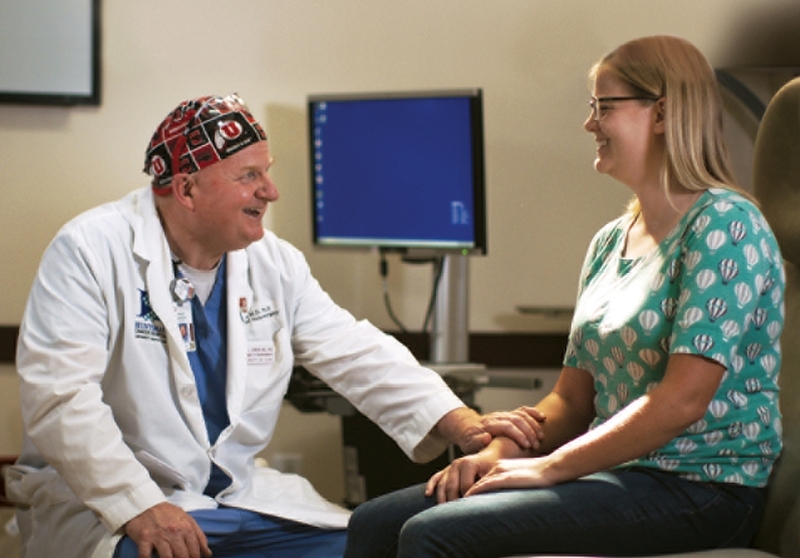 Christina’s care team, Dr. Randy Jensen and the doctors and researchers in HCI’s Neuro-Oncology Program, are experts of international standing. They work together to fit treatments to each individual patient. In January 2015, Christina completed treatment. She now visits HCI every six months for followup care. She also chose to take part in HCI’s Total Cancer Care study. This study is a partnership among patients, health care providers, and researchers to help accelerate cancer research and improve patient care. Since it launched in 2016, more than 4,000 participants have enrolled in HCI Total Cancer Care. The program is borne out of HCI’s participation in the Oncology Research Information Exchange Network (ORIEN), a group of 17 cancer centers that collaborate to speed cancer research. At the participating institutions across the nation, more than 200,000 patients have signed up. At HCI, about 93% of new patients choose to join. That means we enroll more than 400 new patients each month.